Home / Shop / GAME SYSTEMS / Trading Card Games / POKÉMON / Boxes, Tins etc. 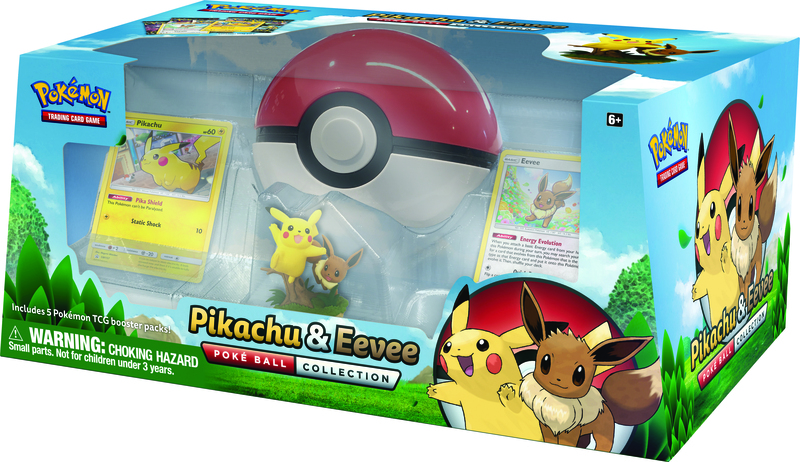 This collection features two all-time favourite Pokémon in a joyous, beautifully sculpted figure and two new foil promo cards – a great addition to any collection. Plus, the Poké Ball has a secret compartment inside that holds up to 60 Pokémon cards! Pokémon Favourites in the Palm of Your Hand! • A Pokémon art card showing the art from this Mini Tin — you can collect and combine all 5! powers, and its mastery of fire and ice is unique among Pokémon.